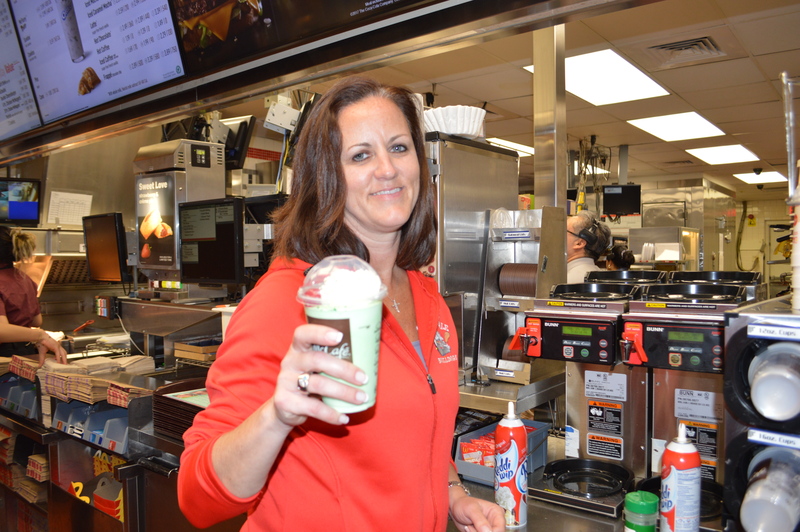 The Bloomingdale Bulldogs held a Fundraiser Night at the Bloomingdale McDonald’s at Stratford Square on Thursday, February 23. 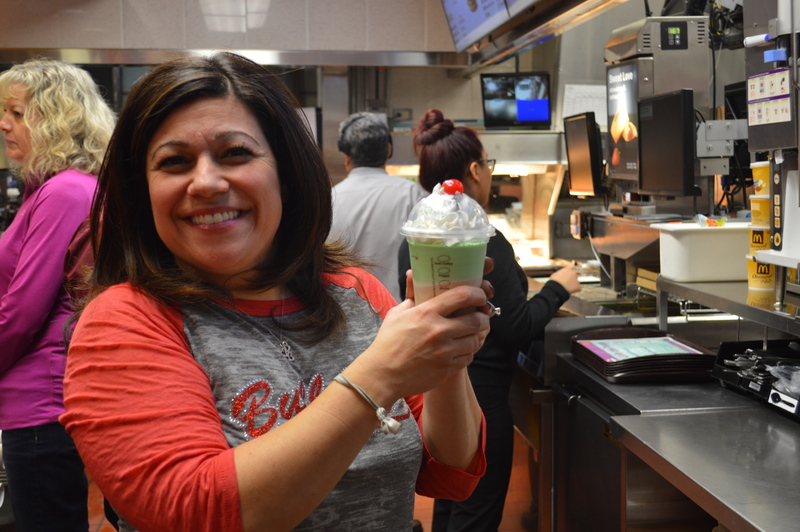 This fundraiser was organized to help raise money for the Bulldogs by having coaches and parents work at McDonald’s and then giving a percentage of the night’s sales to the 13U team. The Bulldogs coaches and parents had an exceptional time at this lively fundraiser. On Thursday, the restaurant was taken over by coaches and parents excited to serve freshly prepared meals to students and their families. All the money was raised for the Louisville Slugger Wood Bat World Series in Pittsburg, PA this coming July. 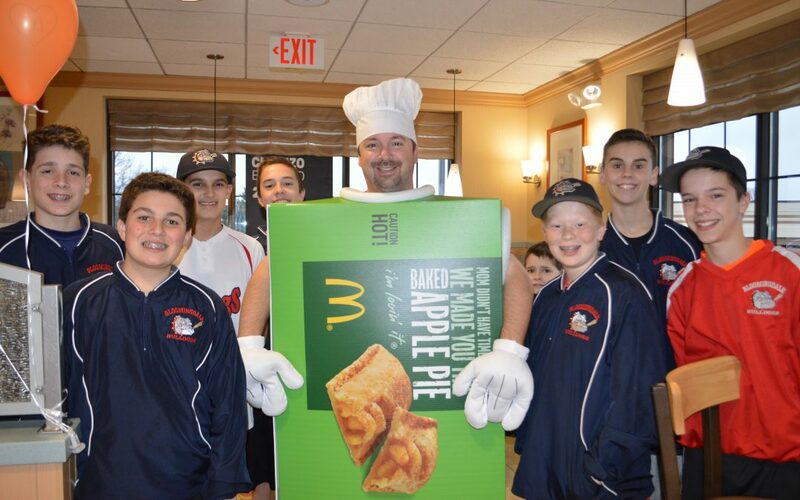 The jobs included greeting guests, cleaning the lobby, working the front counter, serving drinks, clearing tables, selling pies, serving ice cream, and even dressing up in a pie costume—all duties which were executed with great enthusiasm. 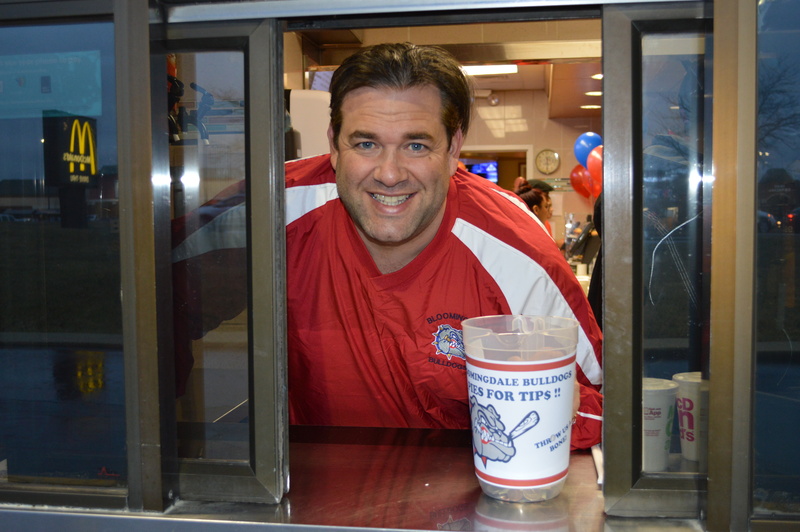 Village Trustee and Bulldogs dad, Frank Bucaro worked very hard at the drive-thru. A special thank you goes to Lauren Bucaro, who organized the entire event as well as everyone that worked and attended the event. The Bulldogs worked hard and with excitement, while the families also enjoyed a great evening.